In today’s cryptocurrency market, there are a wide variety of wallets available. However, one brand, in particular, has managed to set itself above the others. It is considered by many as the number one wallet in terms of safety, innovation, and reliability. Trezor is a company preferred by many experts and is the wallet of choice by businesses of all sizes. It is also perfect for individuals who want to protect their investments with an extra layer of security. 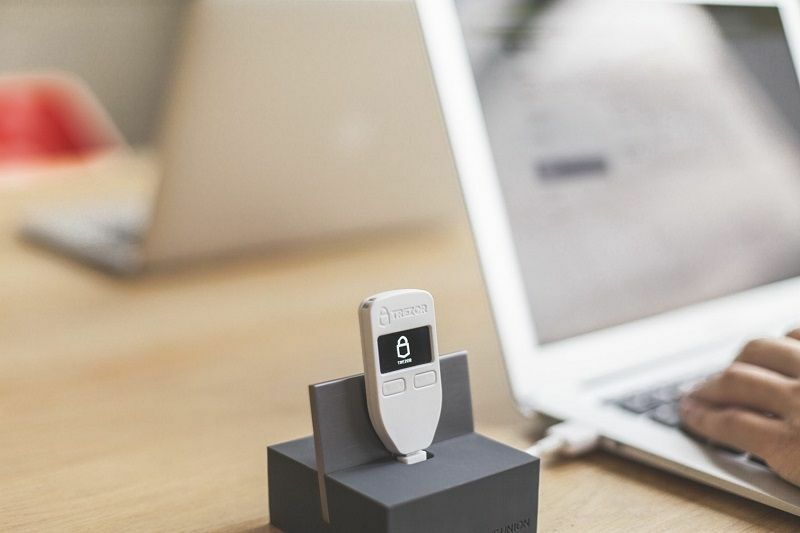 Let’s take a look at two models offered by Trezor: The Model T and the Trezor One. The Model T is the most recent wallet released by Trezor, while the Trezor One was the first one available. Let’s take a look at these two wallets, along with how they compare with one another. This might give you an idea of which one suits your needs. The Model T offers a stylish black finish with a nice sized 240 x 240 LCD. Through the LCD, you can manipulate and configure the wallet as needed. The sleek design of the Model T makes it more appealing than its counterpart as it gives off a finished and refined vibe. Additionally, the touchscreen available with the Model T creates another layer of security. The Trezor One, on the other than, is made of plastic. Therefore, this wallet is resistant to falls and shocks. Included on the Trezor One are two buttons which allow you to operate the device. The 128 x 64 OLED is not a touchscreen. You can get the Trezor One in either white or black colors. The Model T comes in a well-designed box which can be used for storage purposes. Additionally, the box comes with a security seal in place, so you can be sure that it has not been opened. You’ll get a power cable and two cards for the recovery seed, and the instruction manual. 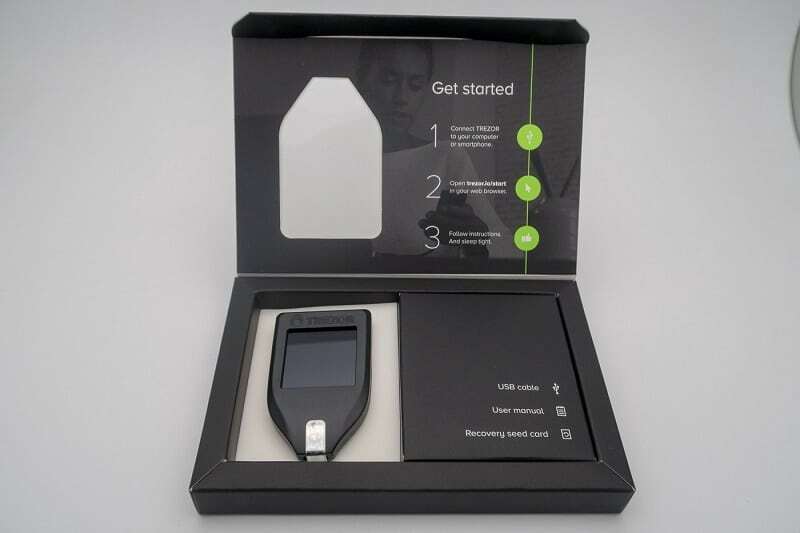 With the Trezor One, you’ll receive a box that also has a security seal to ensure that it has not been opened. 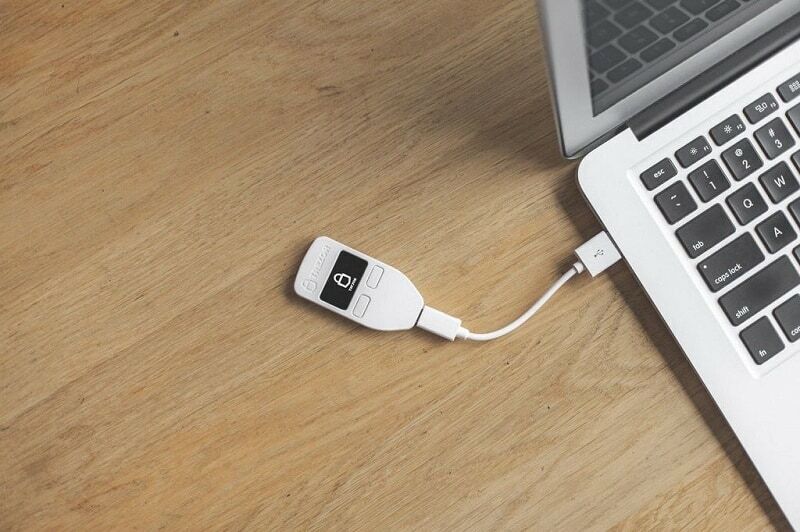 Like the Model T, the Trezor One includes a power cord and card to track your recovery seeds. Trezor can handle over 500 cryptocurrencies, which include Bitcoin, Ethereum, Litecoin, Dash, Zcash, and many others. If you need a wallet that handles more digital currencies, then you’re better off going with the Model T. Trezor will provide an update which will allow for the support of more cryptocurrencies, including Cardano, Monero, Ripple, and Tezos. To use your hardware wallet, you’ll need software which allows you to manage it. It will need to send cryptocurrencies, generate addresses, and view the details of your account. Trezor has developed an online software which you can download without issue so you can manage your wallet. Not only that, but you can also connect with other wallets like Mycelium, MyEtherWallet, Greenbits, and Electrum. Additionally, you can work with exchanges like Bitex, Bitstamp, and Coinmap. Both the Trezor One and the Model T are compatible with the online software. You’ll also discover that both work with iOS, Linux, Windows, and Android applications. Depending on your level of comfort, the installation for both the Model T and the Trezor One is relatively straightforward. Set up should take no more than ten minutes if you follow the guide. Visit the Trezor website and you’ll discover an assistant which will guide you through the entire process. Download the Trezor software and connect your wallet to verify that you have the latest firmware version. Once that’s complete, you’ll create a new wallet and then a backup. When initial configuration finishes, you’ll want to write down your recover seeds. Make sure you write these words down as they are your saving grace if your device gets damaged, lost or stolen. When you have your recovery seeds in a safe place, put a unique name on your wallet so you can identify it. Last, enter a PIN only you’ll remember so that no one else can physically access your device. You’ll be asked to enter this PIN anytime you turn on or want to access your wallet. If it is entered incorrectly more than three times, the information stored on the wallet gets deleted. That’s it. Now your Trezor wallet is all set up. The on-screen software should show up which will let you use your wallet. Trezor devices work with the vast majority of operating systems. You’ll have no trouble with Windows, iOS, Linux, MacOS, or Android. There are also Chrome extensions available if needed. Trezor’s user interface gives users the option to change the language and watch transactions via its screen. Both the Model T and the Trezor One connect via a USB cable. The Model T offers more features than the Trezor One, as it provides a touchscreen interface, as well as a microSD slot. This gives users the ability to manage passwords from the memory card as opposed to only having them available via the cloud. You can also manage multiple funds from the same account by creating several wallets. You can view transactions, sign and record messages, or send transactions, all in a .csv format. Both the Model T and Trezor One are safe and versatile wallets so you don’t have to worry about the safety of your investments. The Model T is a very user-friendly device. Whether you’re a novice or an expert, you’ll find this wallet easy to use while performing secure transactions. Both the Model T and Trezor one are very secure, which keeps them safe from hackers or other malicious attacks. It’s critical that you protect your cryptocurrency investments. Overall, both of these Trezor devices are simple and easy to use. The Model T does have a few improvements over the Trezor One, but you’ll pay more for those features. 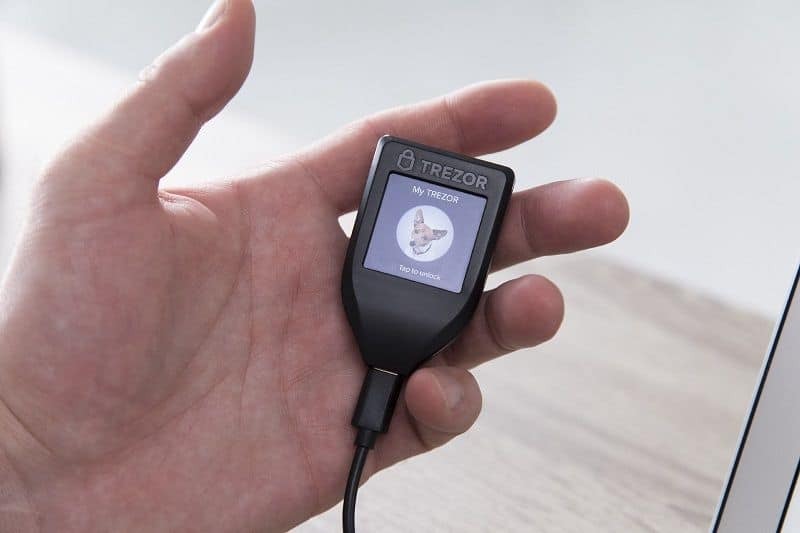 Of course, Trezor has done its research and make its devices better, which is why there is now a newer option available on the market. 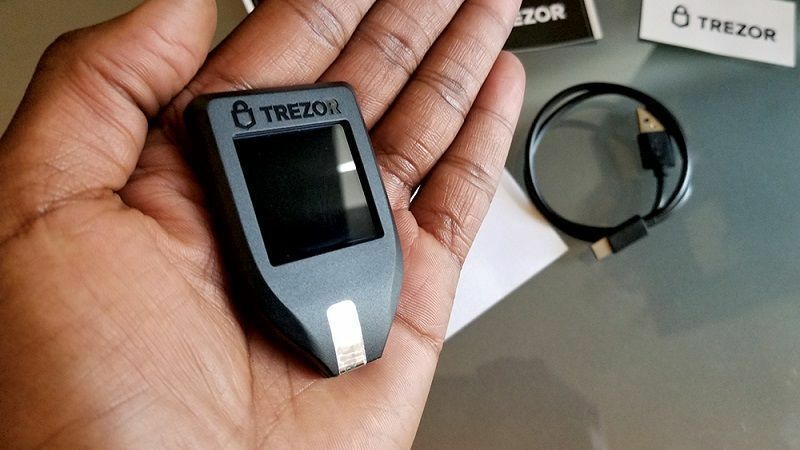 Trezor wallets are an easy and secure method through which you can store your cryptocurrencies. The Model T does a great job of providing new and exciting features. You’ll get a new touchscreen, a cleaner, sleeker design, and of course the security for which Trezor devices are known for. However, keep in mind that the Model T is quite a bit more expensive than the Trezor One. Improvements have been made to the Model T, but the overall operation of the wallet is still basically the same. You’ll have to decide if the increase in price is worth the features. If you have significant cryptocurrency investments, then the price may be well worth it to have a newer, fresher, model. On the other hand, if your budget is limited, then you might be better off sticking with the Trezor One. The One model will meet your expectations by safeguarding your cryptocurrencies. 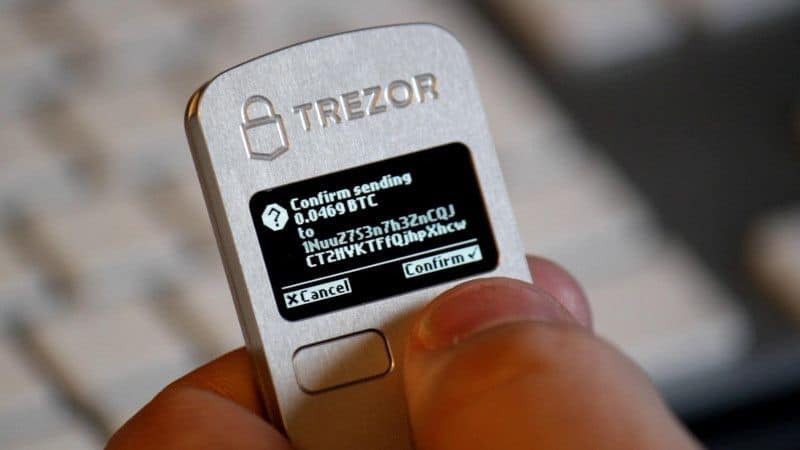 Trezor is and has been at the forefront of hardware-based cryptocurrency wallets. This means that no matter whether you go with the Trezor Model T or the Trezor One, you know you’re getting a wallet that will ensure the safety of your coins. GET YOURSELF A TREZOR NOW!